Be authorized to work in U.S. Interns will be authorized to work a maximum of thirty (30) hours per week for up to twelve (12) weeks. 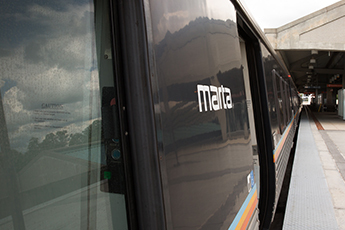 Internship opportunities will be posted on MARTA’s website, college and university sites beginning March 25th, 2019 through April 5th, 2019. Resume screening will be completed by the Human Resources Recruiting team. Resumes of qualified candidates will be shared with hiring managers for review and interview consideration. Candidates selected for an interview will be contacted directly by a Recruiting Officer and interviews will be coordinated through the Human Resources Recruiting Office. Applications must be sent to internships@itsmarta.com. Applicants must also create a profile through MARTA’s I -Recruitment page here. A current transcript. Students must possess at least a 2.5 GPA to be considered. Please ensure a resume and a transcript are attached when creating your I-Recruitment online profile through MARTA’s career page. Applications must be received by the closing date of the posting to be considered. THANK YOU FOR YOUR INTEREST IN MARTA’s GLOBAL INTERNSHIP PROGRAM & BEST WISHES!!! Our internship program places students on teams and in departments that give them hands-on experience with the various challenges of public transit. We designed the program to expose students to the challenges our teams face every day — as well as the ways they take on those transit challenges. You'll have the opportunity to work alongside teams in fields related to what you study, gaining valuable experience that can help lead to a career further down the road. College and high school students can apply for a few types of internships depending on their age and their interests. These internships are available to college students and high school students. These internships are available to anyone pursuing academic credit or volunteer hours. You'll need to meet the following criteria if you plan to apply for a MARTA internship.